The Mesa Savannah double ended classic clawfoot tub combines a traditional style tub with contemporary design that will enhance any bathroom decor. 66"L x 30"W x 25"H. UPC Certified. Lifetime Warranty. Faucet sold separately. Call 800-720-1062 for more details. 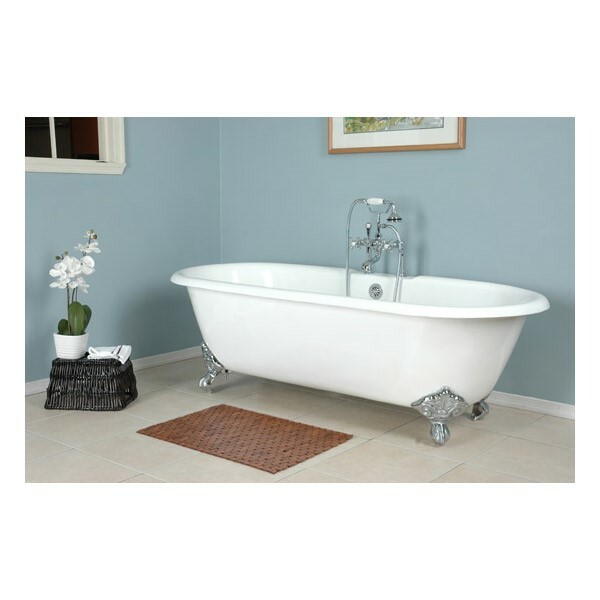 Free Shipping and No Sales Tax on All Mesa Free Standing Tubs! 29" x 69" x 29"
Since 1995 the Mesa Bathware Company has been setting the standard in innovative design and quality craftmanship. Mesa Bathware carries a full line of freestanding tubs, whirlpool bathtubs and steam baths. Mesa is known for integrating cutting edge technology into their bathware products with a focus on sleek design and functionality.